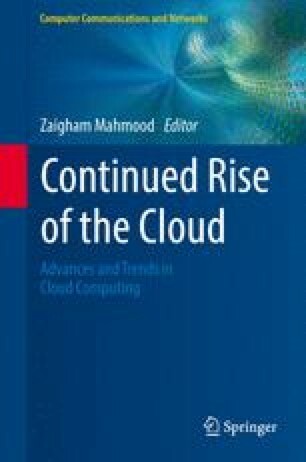 Cloud computing represents a great promise of quickly delivering the more efficient information technology (IT) systems to companies and enterprises, encouraging small- and medium-sized companies to make use of more intensive and widespread technology and, therefore, stimulating a strong recovery on a new basis of the information and communications technology (ICT) market. Two major challenges in cloud computing are scalability and consistent achievement of quality of service (QoS) standards set by the consumers. Various cloud resources can be acquired from the cloud service providers (CSPs) at different abstraction levels based on the services provided by the CSPs and requirements of the users. A uniform solution of delivering the promised services with proper performance metrics is to implement a federated environment with the help of an agent or a broker. This chapter presents the vision, the challenges, and the architectural elements of brokerage services of a federated cloud computing environment. It provides a basic overview and expectations and sets the background for the rest of the chapters in this book.